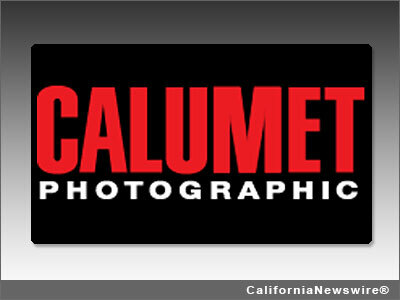 LOS ANGELES, Calif. /California Newswire/ — The Calumet Gallery, located at Calumet Photographic, 1135 N. Highland Ave. Hollywood, announces the opening of a new fine art photography exhibit, 'The Los Angeles River Flows.' The thematic exhibition, from photographer Ding Kalis, opens on August 5, and closes on September 3. Calumet will host an "open to the public" wine and cheese Artists Reception from 6 to 8:30 p.m. with an artist talk at 7 p.m., August 8, 2013. Sabrina Valdez, manager of Calumet Gallery, said of Kalis' work, "Ding's exhibit is emblematic of our outreach efforts to find and present photographers with visual voices that matter. His work is indicative of the depth and breadth of photography exhibits that Calumet presents, and we invite the public to explore this exciting work and to meet Ding at the reception." Born in the Netherlands and raised in Switzerland, Ding Kalis came to California in 1973 to attend the Art Center College of Design. Graduating in 1977, he founded a successful photography practice specializing in architecture and landscape architecture. Today Ding and his wife, Rebecca, live in Pasadena, Calif. and his talent for form presents viewers with a deep juxtaposition: Los Angeles' graphic skyline against the City's River of fluid moments and motions. "The Los Angeles River Flows" is an exhibit of nineteen black and white images that captures the ethereal quiet of the Los Angeles River at its tributary, the Arroyo Secco in South Pasadena, and ends with an aerial image of the river emptying into the Pacific Ocean, its concrete banks saturated with industrial activity. Captured digitally, Kalis presents the audience with high contrast images to portray the high contrast issues of an ecologically sensitive river cramped and tamed by man-constructed concrete banks. When asked about the how and the why of his work, Kalis said, "It is a fact that all great cities have great rivers. Los Angeles has its El Rio de Nuestra Senora La Reina de Los Angeles de Porciuncula, a name created by Gaspar de Portola. In time, the population decided that they could not cope with this bloviated moniker and simply called the waters, the Los Angeles River. After a disastrous flood in 1938, the citizens decided they could do without the river itself. The Army's Corps of Engineers arrived, and when it left, a scenic stretch of waterway had been replaced with a large concrete ditch stretching 48 miles from the San Fernando Valley to the Pacific Ocean." Ding noted that a spokesperson for the Army Corps of Engineers said, "When the L.A. river flood control project was done, there was no environmental movement. Today, we are a much more ecologically aware population and the public, strongly supported by local civic groups and the Army Corps itself, have evolved into an ambitious plan to restore the river, one of seven projects included in The Urban Waters Federal Partnership." "The Los Angeles River Flows" challenges Ding's own curiosity about how the river scene speaks to the quintessential Los Angeles experience; the gothic bridges, signage, industrial jumble, palm trees, and the ubiquitous concrete. The exhibit demonstrates equal parts of form and pressure as it balances perceptions of reality against the very real concrete straights that still control, tame, and form the river. Kalis back fills the structural L.A. scene with the images of folks on the river. A Vaquero cowboy on a slow gaited horse meanders along a concrete horse trail, a film crew shoots fashion video on the trickling riverbed, cars course along the slanted banks, and itinerant characters live on some of the quiet stretches. Viewers of these photographs can sense Ding Kalis' architectural and graphic skills at work in the manner in which each image demonstrates a deft sense of space and light: "I enjoy creating an experience of spatial relationships that are subtly backlit by human activity. I will continue to explore this theme and look forward to working with other stakeholders in the rivers restoration to its original greatness."